Weekend Preview: Mourne Highline Mountain Race, IUAA T&F Championships and more! It’s been an amazing week for the sport of running (and of course athletics in general), with some exceptional performances by Northern Ireland athletes at the Commonwealth Games – none more so than Leon Reid, who grabbed a bronze medal over 200m! The Games are still ongoing, but closer to home there has been several good midweek races, with the sell-out Ballymena Belles 5 mile road race which was won by Gemma McDonald (Ballycastle Runners), and the Hill & Dale Series opener, which attracted over 200 people; William McKee (Mourne Runners) and Karen Wilton (Jog Lisburn) won there. Now, looking forward to this coming weekend, there are two major fixtures taking place – the opening round of the British Fell Running Championships, which will be held in the Mourne Mountains, and the Irish Universities Athletics Association (IUAA) Track & Field Championships at Mary Peters Track. Elsewhere, nearly 1,000 competitors are expected to take on Born 2 Run’s Glenarm Challenge, while the Portadown 10k & 5k will also be well supported, as will the Athletics NI Open Track & Field Meeting. Outside Northern Ireland, several well-known athletes will travel to Dublin for the AAI National 10k (Road) Championships, which will be held in conjunction with the Garmin Great Ireland Run. The weekend action will kick off later today, Friday 13th April 2018, when Queen’s University of Belfast host the Irish Universities Athletics Association (IUAA) Track & Field Championships at the Mary Peters Track in Belfast. Queen’s University last hosted the two-day inter-varsity competition in Northern Ireland back in 2011 and following its success, it is expected that this year’s event will prove popular with both athletes and spectators alike – a record number of athletes have entered the Belfast based event. QUB AC themselves boast a wealth of athletic talent – just this week, their club member Emma Mitchell bettered her own Northern Ireland 10,000m record at the Commonwealth Games in Australia. This will no doubt inspire the host team as they go on the hunt for silverware. 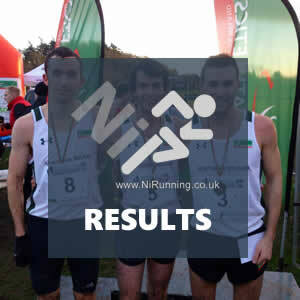 Recent NI & Ulster 5k (Road) Champion Neil Johnston will compete in the 5,000m and should challenge the gold medal. Emerging talent Sinead Sweeney will also race over 5,000m, as well as the 1500m. NI & Ulster Intermediate XC Champion, Craig McMeechan, will line up alongside fellow NI man Jonny Whan (DCU) in the 1500m. In the 400m competition, Andrew Mellon will be worth watching. Another Northern Ireland university competing will be the University of Ulster and they also have a significant interest on the Gold Coast in the form of sprinter Amy Foster. Strong background work by coaches at the University of Ulster will mean that they will be taking their biggest team to the Championships in 10 years. Anna McIlymoyle will race in the 100m hurdles and the impressive 4x100m relay team of Craig Newell, Ronan Bloomer, Justin Bloomer and Aaron McKendry should play a major part in proceedings. Outside of the local talent, there will be some big stars in action, with Irish internationals Phil Healy (WIT), Una Britton (DCU) and Marcus Lawler (Carlow IT) all due to compete. Mourne Highline Mountain Race (Round 1 of British Fell Running Championships). Check out our ‘Special Preview’ of the Mourne Highline Mountain Race HERE. On Saturday 14th April 2018, over 800 competitors will descend on Glenarm Castle, close to the stunning Antrim Coast Road, for the inaugural running of Born 2 Run’s Glenarm Castle Challenge. The event will offer runners a range of distances with a Half Marathon, a 10k and a 5k option. Born 2 Run’s motto is ‘Great Races in Great Places’ and Glenarm Castle certainly meets the criteria. Complete with a castle dating back to 1636, the working estate offers runners a scenic mix of forest trails, farmland and views along the Glenarm River. Athletes to look out for in the Half Marathon, include Belfast 2 Dublin Ultra finisher Phelim McAllister (Larne AC) and fellow Larne based athlete Murray Deller (East Coast AC). David McGaffin of Springwell Running Club will also be hoping to continue his recent good form over the half marathon distance, following good runs in Omagh and Larne. Karen Wilton of Jog Lisburn, winner of the Hill & Dale Race at Castlewellan last night (Thursday 12th April 2018), should dominate the ladies race. In the 10k race, in-form athletes Gemma McDonald (Ballycastle Runners), winner of the Ballymena Belles 5, and Julie Murphy (Lagan Valley AC), winner of the Whitehead 5, will battle it out for the top prize – both ladies will finish well up the field overall. 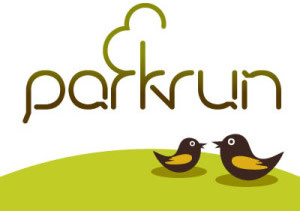 Larne AC’s Will Barnham and Patricia Blair should feature at the front of the pack in the 5k race. On Sunday 15th April 2018, Athletics NI will host an Open Track & Field Meeting at Mary Peters Track in Belfast. This is a Senior Event. All athletes must be 16 in the year of competition. Senior UKA implements only. The new UKA rule regarding time taken for trials will be enforced. Athletes will be allowed 30 seconds to complete their jump or throw from the moment the official indicates that the trial may commence. 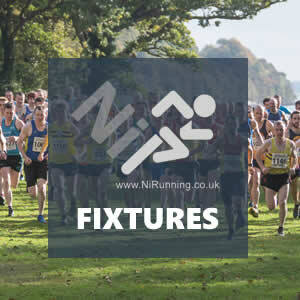 Entries are AVAILABLE on race day and a provisional timetable is available HERE. Rio Olympian Kerry O’Flaherty (Newcastle AC) will head the local charge for honours as thousands of competitors take on the AAI National 10k (Road) Championships this weekend (Sunday 15th April 2018). The event will take place as part of the Garmin Great Ireland Run in the Phoenix Park, Dublin. Chesterfield Avenue will be full of colour with club vests lining up for the National 10k Championships – an Irish select team take on England as part of the race. Northern Ireland’s Kerry O’Flaherty will join Shona Heaslip (An Riocht), Laura Shaughnessy (DSD) and Bethanie Murray (DSD) as they go head-to-head with England’s Gemma Steel, Jenna Hill and Naomi Taschimowitz. Steel should provide a good test for the Irish women as a former European Cross Country champion and winner of the event. The Irish women will, of course, also be battling for National gold. Alongside Kerry, on the start line will be fellow NI athlete Gladys Ganiel O’Neill (North Belfast Harriers), who finished as runner up at the recent T10K. In the men’s race, North Belfast Harriers are well represented, with John Black and Philip Goss likely to place well. Carmen Runners man Martin Cox, winner of the Omagh 5k last weekend, will also run well. Check out the full entries HERE and timetable HERE. The action at the Commonwealth Games continues through today and into the weekend, with runners Adam Kirk-Smith (Derry Track Club), Emma Mitchell (QUB AC), Paul Pollock (Annadale Striders) and Kevin Seaward (St Malachy’s AC) all set to compete. Kate O’Connor (St Gerard’s Dundalk) and Sommer Lecky (Finn Valley AC) will also compete in their respective multi-event and high jump competitions. A full schedule for the Commonwealth Games is available HERE. A schedule for Athletics NI athletes is available HERE. Special Preview: NIMRA to host British Fell Running Championships opener this weekend! Commonwealth Games: 17 year old Kate O'Connor leaves CWG with high hopes... and more!